Cardinal’s CenterPoint Tank/Hopper Scales utilize double-ended shear beam stainless steel load cells with center load design. The bolt-in-place mounting assembly with articulating top plate makes them ideal for indoor or outdoor weighing applications. 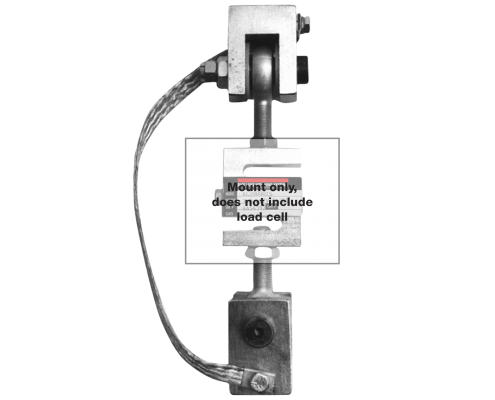 Available in three or four legged mounting assemblies with mild or stainless steel stands and self-checking sliding pin design, the CenterPoint load cell kits are perfect for mixing, blending, batching, inventory control, and general weighing. Combine them with one of Cardinal’s state-of-the-art 200 series weight indicators for a complete digital weighing system. Capacities range from 7,500 to 200,000 lbs. The EZ Mount 1 Series weigh module is designed to provide superior performance in a wide range of process control and vessel weighing ap- plications including batching, blending and bulk inventory management. Each assembly features a temperature-compensating and self-checking sliding pin design, making it ideal for indoor or outdoor applications. The EZ Mount 1 is easy to install and can be bolted directly to the vessel and foundation. 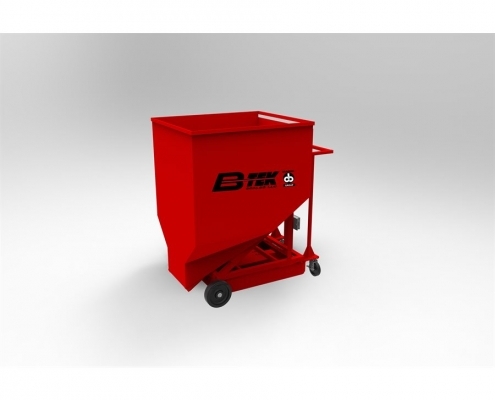 It is available with mild steel or stainless steel construction in capacities from 5000 lbs to 250,000 lbs. For a complete solution, kits that include load cells, mounting assemblies, a junction box and cable are available. To complete your system, Rice Lake Weighing Systems also offers digital indicators and controllers for setpoint filling, batching and unloading. The ITCM Series Mounting Assembly provides unmatched performance in a variety of light- to medium-capacity vessel weighing applications and mechanical scale conversions. 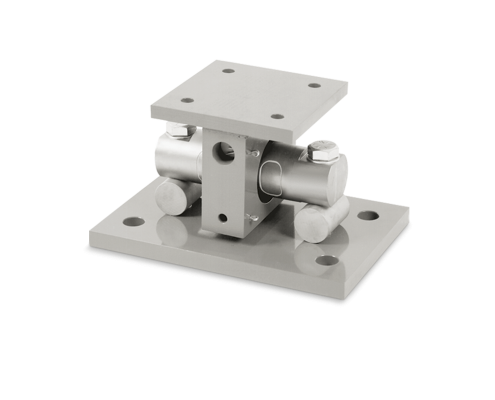 Featuring clevis and unique rod end ball joint assemblies, overall length is reduced to half of traditional S-beam tension mounts, while providing correct load alignment. In addition, the ITCM completely electrically isolates* the load cell from stray currents, a major cause of load cell failure. PTFE-lined rod end ball joints, nylon insulating washers and a grounding strap connecting the two clevis assemblies complete the electronic isolation package. Capacities available range from 100 lb to 20,000 lb. The MagnaMount tank, truck and railroad scale assembly is designed for use with Rice Lake Weighing Systems’ RLCSP1 or VPG Revere CP or CSP load cells. The “shielded cell” load cell mounting assembly is a highly reliable design that shields the load cell from shock and side load effects, assuring accurate weighing even under adverse loading conditions. The Paramounts system offers superior accuracy in applications with extreme expansion, contraction and vibration. The fixed-pin module acts as the vessel’s primary reference point, enabling rotation. A single side-stop module is paired with the fixed-pin module to permit mechanical expansion and contraction in one direction. With the addition of one to six free-sliding modules, the vessel then becomes a high-accuracy weighing device. This system offers the free motion necessary to eliminate unwanted mechanical side loads, as well as the strength needed to keep the vessel in check. Integral jacking/shipping bolts enhance safety by preventing accidental lift-off, facilitating quick field removal of load cells and eliminating load cell damage during transportation. Matched load cell electrical outputs and field-replaceable cables simplify installation and enhance serviceability. As a system, Paramounts represents the ultimate combination of convenience, accuracy and control. 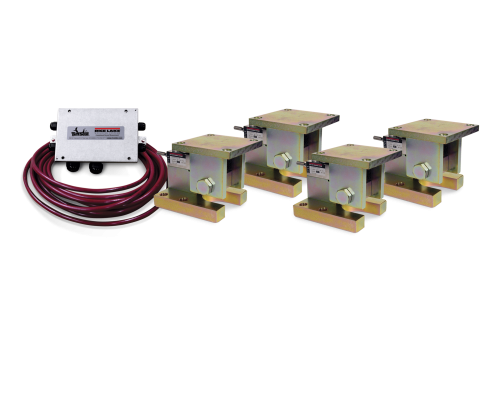 The Paramounts system includes load cells, mounting assemblies, junction box and cable, providing everything needed to convert any weight into a readable, formattable electronic signal. The RL1600 Series Weigh Module is ideally suited for a variety of applications including batching, mixing, blending, general weighing and inventory control. 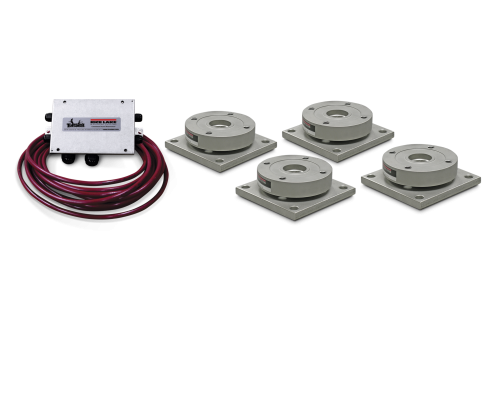 Available in cast iron, mild steel, and stainless steel construction, the RL1600 series weigh modules provide accuracy, consistency, and durability in capacities ranging from 1000 lb to 75,000 lb per module. For a complete solution, kits are available including load cells, mounting assemblies, cable, and junction box. Choose from various analog junc- tion boxes or iQUBE®—an intelligent, non-proprietary digital diagnostic junction box. iQUBE provides simplified calibration, diagnostics, numer- ous connectivity solutions and enhanced electrical overload protection. The RL1800 Series Weigh Module is ideally suited for use in a wide range of low- to medium-capacity process control and vessel weighing applications. Each assembly combines multidirectional movement and self-correcting capabilities for an unmatched level of performance. RL1800 modules are available in mild steel or stainless steel construction with capacities ranging from 250 lb to 10,000 lb. Mild steel mounts are available with RL35023 single-ended beam load cells that are NTEP certified in capacities of 1000 lb to 10,000 lb. 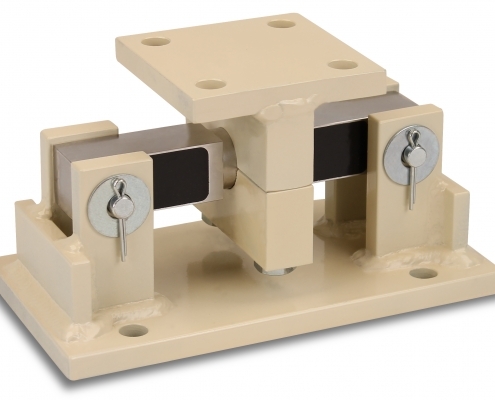 Optional stainless steel constructed mounts are available with RL35023S stain- less steel load cells. Survivor® 1855 HE weigh modules, designed specifically for accurate, durable performance in hostile environments, are available with stainless steel construction and stainless steel, hermetically-sealed RL35082 load cells. For a complete solution, kits are available including load cells, mounting assemblies, junction box and cable. These kits provide everything needed to convert any weight into a readable, formattable electronic signal. Rice Lake’s RL9000 TWM is a one-piece module ideal for hostile-environment vessel weighing—offering a space-saving low profile and weatherproof stainless steel construction. Its low profile configuration maximizes space while all-in-one construction minimizes installation time. Furthermore, the RL9000 TWM will accurately weigh even if the base is off level by as much as 3 degrees. A broad range of weighing capacities from 1,000lb to 450,000lb enables its use in many weighing applications. What’s more, the 100% uplift protection and self-checking design provide extreme durability. 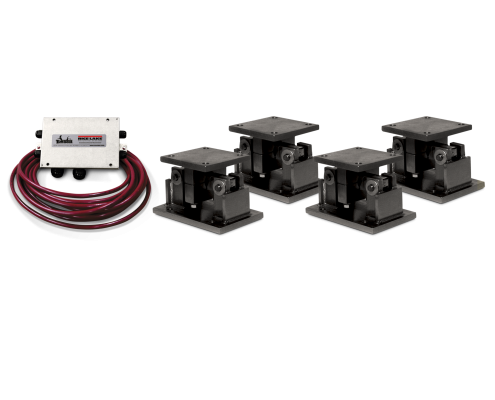 Each RL9000 TWM unit installs quickly without the need for stabilizing hardware or bumper bolts, and offers the benefit of 300% ultimate overload protection. Whether tank, hopper or vessel weighing, its welded-seal design promises year after year of reliable, trouble-free operation. The RL9000 TWM comes standard in a wide range of capacities, and is also available in a high- temperature tolerant model (RL9000 TWM-HT). TheTranslinkParallelLinkTruckScaleAssemblyisdesignedforexceptionalperformance in heavy-capacity tank and vehicle weighing installations. Ideal for mechanical conversions and new scale installations, this mount features a design that allows the scale platform to move freely in all directions in the horizontal plane. 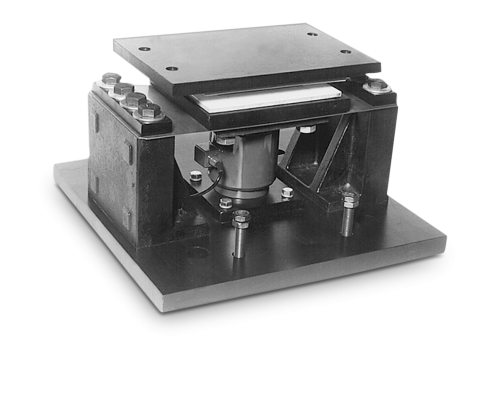 The pendulous action of the links results in the self-centering of the weighing platform ensuring consistency, accuracy, and repeatability. 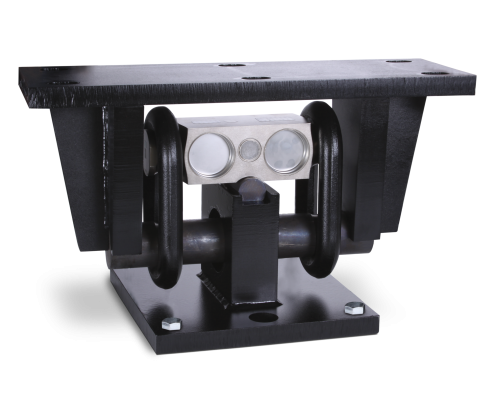 The unique parallel link design eliminates the need for costly and troublesome check rods; simply install platform bumpers and forget about weighbridge travel. Translink is constructed of fabricated and hardened tool steel and is available in capacities of 25,000 lb to 100,000 lb utilizing the RL75040 or RL75223 NTEP-certified load cells.